The default rule that you see here is a rule that applies to all your customers - like the "base" of your return policy. We'll then add rules on top of that (for international customers for example - see below) to segment your customers or create exceptions. It might be a little tough to get the hang of it at first, but if you pay attention to the guidelines and different settings, the rules engine can become a really powerful tool for your business! You can set up one or multiple return rules that are custom and flexible to your store. Follow the guidelines in the app to set up your first policy. For an example, click here! Empty Template: start from scratch - there are many different conditions you can choose from! Let's do an example together! Let's say you do not want to send prepaid labels to international customers (only). We will do here an example for US-based stores, but this is applicable for all countries (just replace "United States" by your country). Let's head to your Settings, under Policies > Rules. First, click on "Create a new rule". Here, it is worth explaining the purpose of the default rule again. The default rule is a rule that applies to all your customers - like the "base" of your return policy. We'll then add rules on top of that (for international customers in this example) to segment your customers or create exceptions. International customers will have their own rule, and domestic orders will be covered by the default rule. Those are pre-made templates you can choose from. You can also start from scratch with an empty rule. For the purposes of this example, we'll select the "Country" template. You can set a rule name, and then set the condition to "Country is not United States" (for merchants in other countries: replace "United States" by your own). Note that the conditions within a rule are "added" together. This means that for a return to fall under a rule, it needs to meet all conditions set. This is why you should never create rules with more than one country or return reasons, because no return will have multiple countries associated to it (and similarly with the return reasons - there can be more than one return reason associated to a return, but only if your customer is returning multiple items). Here, it is also important to discuss priorities. Priorities come into play when a return could fall under multiple rules. In that case, the rule with the highest priority will apply first. 1 is the highest priority, and 10 the lowest. Great! We now have a rule. 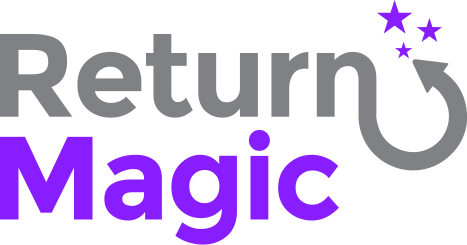 Without any return options within a rule, all orders or return requests falling under that rule will be prevented from completing the return request. In this example, we do want to allow international customers to return, so we'll start adding return options. Click on "Add an option to this rule" at the bottom of the rule. As you can see, you can also set a return fee, or select a custom logistic. The custom logistic is good if you want to create your own return method, like an in-store return for example, or a special way of sending back products to you. Option rank: choose which return option appears first. We recommend setting it so that store credit refunds appear first on your portal to incentivize gift card refunds. Once everything is set, click on "Save Return Option". Repeat those last step to add other return options. Your international customers can now return their items! Bravo!